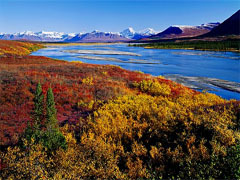 Denali National Park and Kantishna Sightseeing Tours and Excusions: Denali Wildlife Viewing, Denali Shuttle Bus Tour, Mt. 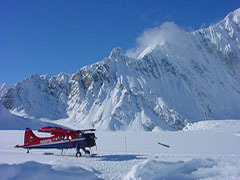 Denali Flightseeing, Denali Backcountry Hiking, ATV and Jeep Safari Adventures, Mt. McKinley Glacier Landing, Cabin Nite Dinner Theatre Show. Choose from a large selection of Alaska sightseeing tours: Cruises within Glacier Bay, Prince William Sound and Kenai Fjords. 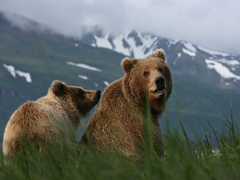 Bear observation at Katmai National Park, Kodiak Island, Denali National Park. Flightseeing Trips from Talkeetna, Arctic Circle Tours on the Dalton Highway, Fairbanks Northern Lights Viewing, Kennicott McCarthy Sightseeing, Valdez Columbia Glacier, City Tours and Soft Adventures. Board a covered, heated powerboat for a 20-mile round trip river safari into “bush Alaska.” You'll travel to a remote trappers camp in the pristine wilderness of the Brushkana Creek valley, deep in the Alaska Range and in the shadow of Mt. McKinley. When you arrive at a remote wilderness camp amidst spectacular surroundings on the Nenana River, you'll enjoy a hot snack while you visit with the locals learning about prospecting, trapping, dog mushing, hunting, and living off the land. Local experts will share their love of Alaska drawing on their own personal perspectives as summer and winter residents. Soon it will be your turn to try out the time-honored pursuit of the Alaskan sourdough-gold panning. Give it a try and keep anything you find. It's a great 4-hour trip to experience the Great Land with people who call the backcountry home. No trip to Alaska is complete without this experience-an incomparable flightseeing adventure that lets you walk on ice thousands of years old. 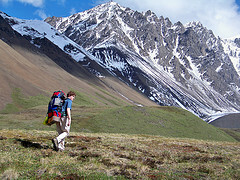 Your tour begins by following the Yanert Valley east to the base of 12,339-foot Mt. Deborah. With icefalls cascading down, the view is absolutely breathtaking. Land on the Yanert Glacier and listen to your pilot as he describes the history of the area while you view glacier moraines, ice bridges, and glacial streams and ponds. The glacier surged a few years ago and the movement caused the surface to buckle and crack, creating peaks and crevasses for added interest. 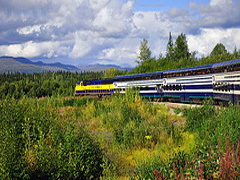 Your return trip takes you over the Sheep Creek Valley for a panoramic view of the Alaska Range and breathtaking views of the West Fork and Nenana glaciers and many other sights. 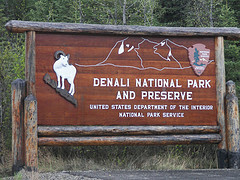 The Denali Backcountry Adventure is a full day narrated exploration along the Denali Park Road to Denali Backcountry Lodge in Kantishna, returning to the Denali Park entrance in the evening. This trip into Denali National Park travels the entire length of the restricted 95-mile Denali Park Road to Kantishna in our private bus. Our trained naturalist Guide/Driver provides natural history interpretation along the way, helping guests search for bears, moose, caribou and other wildlife while pointing out the biology and geology of the region. We stop along the way for photography and take several rest stops where you can stretch the legs. Snacks, drinks and lunch are provided. Lunch is served at exclusive Denali Backcountry Lodge in Kantishna. Dietary meal options available. Lunch: sandwich bar, soups, fruits, snacks and drinks. All you need is a sense of adventure for this exciting tour. 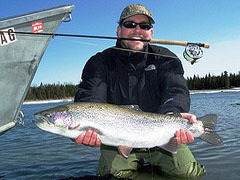 Take in the spectacular scenery along the most gorgeous portions of the Nenana River as your guide does all the work. You'll enjoy 11 miles of Class I and Class II whitewater as you float through a glacial valley - gentle enough to let you enjoy the scenery yet active enough to be an unforgettable adventure. 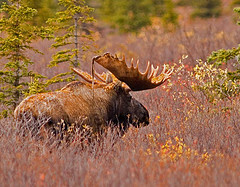 Skirt the boundaries of Denali National Park for an excellent opportunity to experience wildlife in its natural environment. This is the place to see wildlife including moose, sheep, caribou and bear as you raft downstream. If you choose the whitewater option, after lunch you are in for the ride of your lifetime through the Nenana River Gorge! Mt. 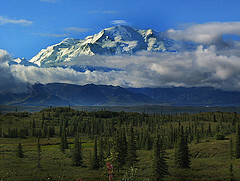 Denali is located 90-miles from the park entrance. So, most visitors only get a glimpse of it in the distance. You can get up close and personal with the ''Great One''. Board a twin-engine airplane and let the wonder unfold as you fly over more mountains, glaciers and eye-popping scenery than you ever could imagine. When you arrive at Mt. 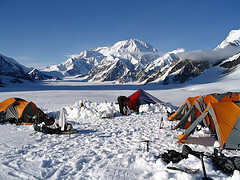 Denali and soar around its staggering summit, you’ll feel the same sense of exhilaration a mountain climber feels. And when your pilot comes in for a gentle landing on one of Mt. 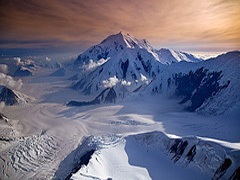 McKinley’s most scenic glaciers, you’ll be in privileged company indeed. Step out onto the ancient ice and immerse yourself in this astonishing world of towering rock and shimmering ice. Destination is the Stampede Road. Once called the Stampede Trail, and not shown on most Alaska maps, this road was carved out of the wilderness by early miners working the area's Kantishna gold fields and antimony mine. Interactive two-way radios allow your guide to explain the area's rich history. Throughout the trip, you'll be able to ask the guide questions and share the experience with your fellow drivers. On a clear day you'll see Mt.McKinley and a variety of wildlife. 4 clients per Jeep Wrangler and you are welcome to enjoy the thrill of maneuvering along the wilderness road. Info: the Stampede Road gained notoriety recently in the movie "Into the Wild" directed by Sean Penn. Join an experienced naturalist for this fascinating half-day walking tour to explore the splendid flora and fauna found on the northern side of the Alaska Range. After helping yourself to provided outerwear and walking stick, which will be provided, embark on this relaxed expedition. Listen as the naturalist describes the pristine taiga and tundra ecosystems, which extend from the Nenana River, one of Alaska's top whitewater rafting destinations, to the subartic alpine tundra. As you come to understand these remarkable natural zones and the powerful forces that shape them, learn about hundreds of species of wildflowers, migratory birds and animals that inhabit the region. Join a warm welcome at the year-round homestead of four-time Iditarod Sled Dog Race champion (1993 | 1996 | 1998 | 2006) Jeff King. Widely heralded as the most authentic and entertaining look into rural lifestyles, your visit includes holding Husky puppies, greeting world-class sled dogs, and sharing over fourty years of Alaskan tales of the trail. Enjoy the compelling stories and check out arctic survival gear, racing sleds and equipment used to traverse the 1100 mile long "Last Great Race on Earth". Fly completely around Mt. 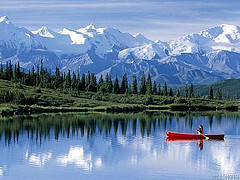 Denali and continue right up over the top of its towering summit for a one-of-kind Alaska experience. Glide over U-shaped valleys and climb into a thrilling realm of snow-covered pinnacles. And when towering Mt. 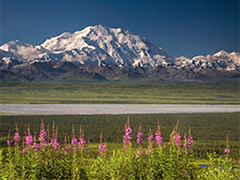 McKinley comes into view, you’ll learn first hand why native people called it Denali, the "Great One." This gigantic mountain dwarfs all other massifs around it, keeping you glued to the edge of your window seat for one dramatic photo opportunity after another. With the expert narration of your professional pilot and the opportunity to interact and ask questions through your aviation headsets, this adventure is nothing short of exhilarating. Drive a ATV through the backcountry of northern Denali National Park. After learning how to safely maneuver the four-wheel-drive ATVs, which go up to 15 miles per hour, and donning safety gear, follow the guide onto the trail, which affords breathtaking imagery at every turn. The nearby mountains, dramatic tundra, jagged horizon and unique flora form the striking tableau that only exists in the Alaskan wilderness. Snap photos whenever you wish. As your guide describes the area’s mining history keep an eye out for wildlife. 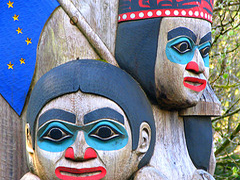 Explore Dry Creek riverbed, site of Athabascan Indian artifacts and an authentic cabin abandoned by old-timer Alaskans. Scale Black Diamond Peak for a heavenly view of Healy Valley. Kick back after a day of sightseeing by joining in on this evening-long jaunt to a family-style roadhouse to see a rollicking musical comedy about the first men to reach the summit of Mt. Denali, also known as Denali, "the high one." Start off the night with a family style dinner featuring Alaskan salmon, smokehouse BBQ, hearty mashed potatoes and house baked apple crisp for dessert. While dining, enjoy wonderful live music by talented performers who hit all the right notes. Relax while experiencing a truly delightful show that hilariously depicts the legendary adventures of the first men to scale North America's highest peak, which stands over 20,000 feet tall.